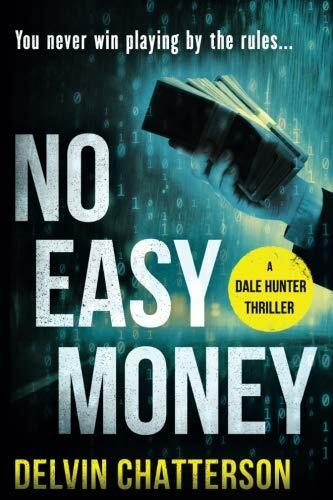 about this book: NO EASY MONEY, the first in a series of Dale Hunter crime thriller novels, is an explosive mix of crime, cash and computers in the 1980s. A young entrepreneur in Montreal, Dale Hunter, has to find a new friend in Frank the Fixer to help save Hunter's business and his family from the murder and mayhem threatened by organised crime, crooked cops and unscrupulous business associates. The novel is an exciting and entertaining read with the bonus of insights into the thinking of entrepreneurs and the criminal elements in business with fascinating descriptions of the international computer business and the action scenes of Montreal, Las Vegas, Korea and Taiwan. The author, Del Chatterson, is an entrepreneur, and business advisor with over thirty years of consulting and business experience. He grew his own computer products distribution business from zero to $20 million-a-year in just eight years. His personal experience has been the source of the stories and business lessons in his many business articles and two published business books and he has now turned them into exciting dramatic fiction. If you like John Grisham or John Le Carré, Kathy Reichs or Ian Rankin, with dramatic fiction based on real-life experiences, then you've got to read this book and tell us what you think. NO EASY MONEY is a page turner that keeps you entertained, informed and inspired, all at the same time. Readers are asking for more!